Franklin Graham kicked up a twitterstorm when he suggested that it is time for the Democrats and Republicans to finally work together for the good of the country. While I appreciate Reverand Graham turning the other cheek, I know in my heart and mind that it is the wrong thing to do. The reason Democrats are so lawless and vindictive today is because they have gotten away with everything for so long. No more! It is time for them to account. The Republican Party and We the People are responsible for conditioning the Democrats to believe that they can do anything they like, no matter how open and brazen their criminal acts or the injury they inflict upon innocent people. 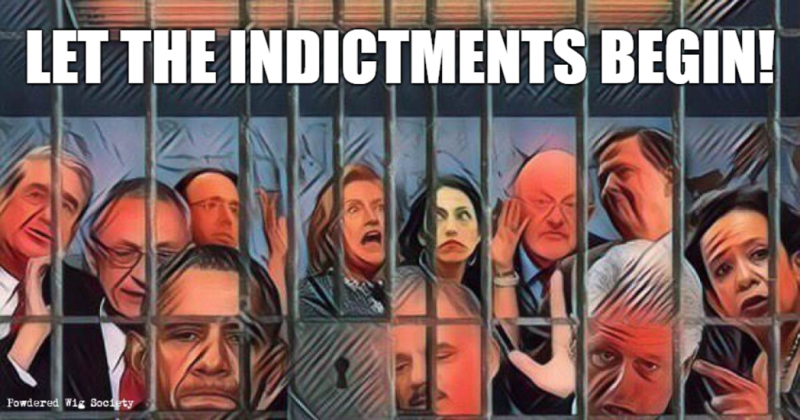 I, for one, will not be satisfied until the criminal Democrats are rounded up, tried, and convicted of their crimes against innocent victims and our country. Only then will America begin to heal. Forgiving them and moving on will only make matters worse the next time they shred the Constitution in an attempt to destroy political opponents and America. Democrats cannot be trusted. They hate America. And as terrible as it sounds, it is the morons who vote for trash like that who are the real problem. I feel as though America is forever divided now, those who love her on one side, those who hate her on the other. Forgiving people who did everything in their power to destroy America and Americans may only happen after they ask us for forgiveness. They have to face their crimes, face their crimes in front of the appropriate court systems. Tribunals in many cases. Correct. That is the problem today. The Democrats have been conditioned to believe that they can get away with anything because We the People don't care what they do. I care!